In January 2014 the public was outraged to hear about a potential 11% increase in electricity prices as a direct result of the latest electricity auction. The Government intervened and promised a new pricing system, however the approved solution has been criticised by both Spanish consumer organisations and power suppliers. How Were Prices Fixed Before 2014? Up to this year, every quarter electricity prices were fixed according to supply and demand via an auction system. Almost continuous increases in price over the past few years, and an outcry over the proposed 11% increase at the beginning of 2014, led to the Government to call into question the independence of the auction system and promise a change. How Will Prices Be Fixed Now? The new pricing model has been introduced on 1 April, but there will be a transition period taking it up to June or July in some cases. The new tariff is called the Voluntary Price for the Small Consumer (Precio Voluntario para el Pequeño Consumidor) – PVPC – and is based on average electricity prices. For households with smart meters installed the price will be calculated hourly, for the rest the price will be the average monthly price fixed by the Spanish Electricity Network. In a two-month period the market registers almost 1500 different prices from each of the 24 hours of 61 days! Why Is Nobody Happy About The New System? It’s very unusual to see power suppliers and consumer organisations in agreement, however in this case the proposal doesn’t satisfy either party. Consumer organisations say that the new system goes against the Consumer Defence Law, which states that the public must know the price of what they are buying. They also criticise the lack of transparency, which could lead to price increases. Power suppliers say that the new system is unrealistic and not viable technologically. Additionally they are concerned about the social impact as consumers won’t know prices beforehand (only when their bill arrives) and they won’t be able to compare prices between companies and tariffs. The specialist press has criticised the Spanish Government for, on the one hand, intervening in the market system when the proposed 11% increase created social alarm but, on the other hand, proposing a 100% market-based solution. Bear in mind that the Government has decided to “reserve the right to change the new system if prices increase dramatically”. Confused? We are! 1. 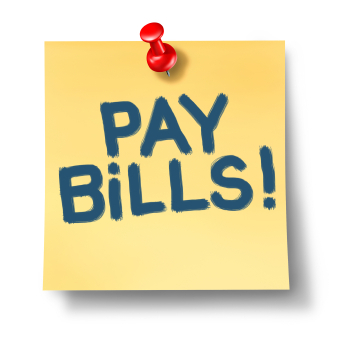 If you’re using the PVPC tariff do nothing and wait to see the price applied when your bill arrives. 2. Opt for the electricity company’s fixed tariff, which in some cases will be up to 20% more expensive than the first alternative. 3. Choose a free market tariff, taking into account any extras in the small print. (It’s worth taking into account that actual electricity consumption costs make up around 40% of an average bill, the rest being taxes and fixed costs). Of course, if you already have a smart meter installed in your home, and the time and energy to check hourly prices, the possibility exists to adjust your usage to when prices are lower. There are already several apps for Android and iOS available, such as Boltio, Precio Luz and Luz+Precio, showing the price of electricity during the day. The Bono Social (a reduced rate for 2.5 million households in Spain) will continue, however the new system only offers a 25% reduction on the normal tariff which is lower than the previous system.